So far, every Raspberry Pi I’ve setup with every compatible Linux version has had a gap of resolution around the entire monitor. It seems to be a pretty standard occurance. I found a simple solution that has worked across all of the instalations. 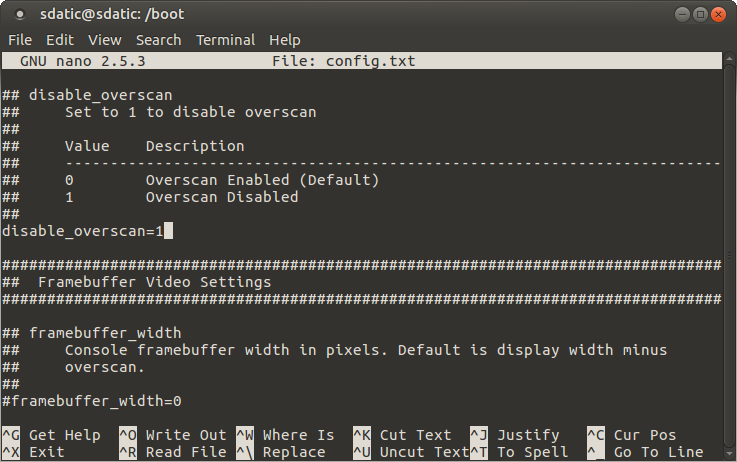 You will need to open up the config.txt file found at /boot on your Raspberry Pi. You will be looking for the following line. All of the config files are different in my experience. Some have a lot of details explaining every detail of the config setting and some are very simple. You need to either find and uncomment the following or add it to the file. Here is what mine loosk like on Ubuntu Mate. There are plenty of settings that I’ll review but this one is a must each time I install an OS on a Raspberry Pi. Rember, you can add the setting if you don’t find it listed.